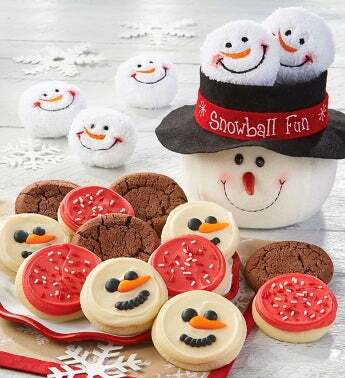 Imagine a place where you can find baskets overflowing with cookies, gourmet brownies, holiday-decorated sugar cookies and more. If you picture that, then you will be enthralled by the selection at Cheryl’s Cookies. 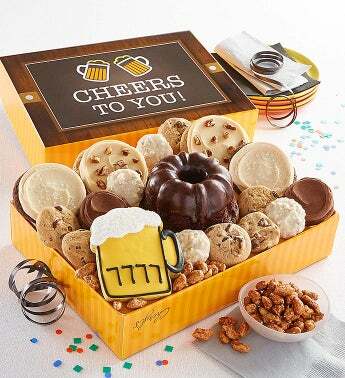 Cheryl’s may specialize in cookies, but their gift basket assortments are literally stuffed to the brim and overflowing with sugary treats – all creatively packaged and well-priced for anyone looking for an edible gift. A cookie and brownie retailer specializing in baskets overflowing with treats. The gift baskets from Cheryl’s Cookies are limited in terms of variety, but that is because you are dealing with a gourmet retailer. Their baskets include things like cookie bars, cookies, brownies, holiday decorated cookies, and mini muffins. They also include keepsake linen napkins and baskets. There are no non-edible baskets nor do they have things like fruits, cheeses, meats, etc. Instead they only offer the baked goods they sell thru through site. 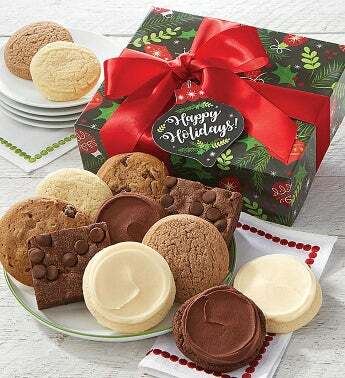 There isn’t much in the way of customization with Cheryl’s Cookies, and you will be stuck with the assortments of baked goods they already have – but that isn’t a bad thing. They don’t have a large inventory, so it is hard to customize. We do wish they had some add-on features or perhaps a design-it-your-own feature just so people could pick and choose which baked goods they have in their baskets. 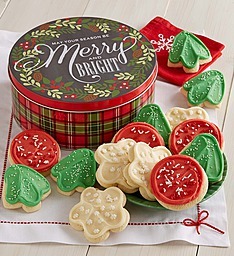 Themes and sentiments are lacking with Cheryl’s Cookies – unless you count cookies and sweets as a theme – and we sure do. 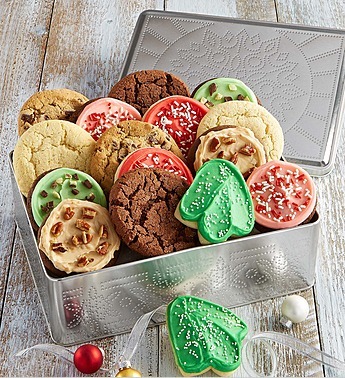 They do have holiday-themed baskets though with sugar cookies decorated for that particular holiday (inventory varies based on the time of year naturally). They do not carry the regular sentiments – such as birthday, graduation, etc. Also, they don’t have sugar-free, gluten-free, vegan, or anything to that effect in their baskets – something we hope they add in the future considering how many people seek those types of baskets. They are Kosher certified though. 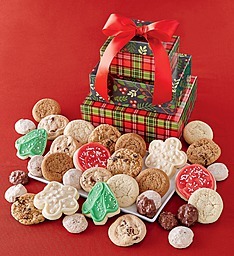 Cheryl’s Cookies does have a corporate gift program. 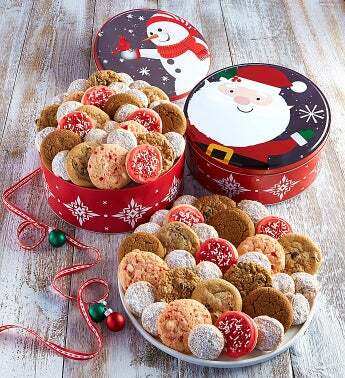 The business gifts include individually wrapped cookies and brownies instead of a bulk basket – so it is easier for employees and recipients to divvy up their goods. They can make gifts special by adding logos and other branding items to the baskets. Discounts are available, but depend on the account and amount of products being ordered at a single time. They do assign dedicated account managers to each company so they have a personal rep that manages orders and they even offer budget-setting – so you could limit baskets to no more than $20 and still get a great variety of products in them. The baskets from Cheryl’s Cookies start at about $50 and go up to as much as $200. They are pretty packed full of baked goods, and even their baskets under $50 are reasonable with a lot of selection. Ground shipping starts at $6.99, but the catch is you cannot use it for Cheryl’s gift baskets. That is because they don’t use preservatives and you need to ship faster than traditional ground if you don’t want to have stale baked goods. So, you will want to go with two day delivery, which starts at $16.98 and goes as high as $9.99 on top of 15 percent of the total. Overnight delivery starts at $26.98 per package and goes as high as $19.99 plus 15 percent of the total. They don’t ship to PO boxes, APO/FPO or internationally. Unfortunately, the shipping rates could turn off some people – considering you could pay as much as the basket in shipping. 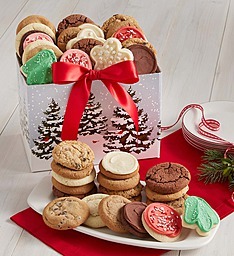 The items on Cheryl’s Cookies are presented nicely and they are clear as to what types of baked goods will come in each basket. They will also specify how many pieces total. All of their products are designed to appear overflowing from decorated baskets fitted with keepsake napkins. Some will come with special notes and even cookies decorated with notes. They do have a 100 percent satisfaction guarantee, so if you have an issue with a basket you receive, they will do what it takes to make it right. They do not accept returns, but can refund you the purchase price if you are unsatisfied for any reason. Customer service is really lacking with Cheryl’s Cookies, which is unfortunate since they are part of a larger network. They are limited to just email form on their basket site and they do have a large FAQs section, but some people may want access to calling. They do have a 1-800 number for placing orders and they can discuss your issues there as well, but they make it difficult to find their contact information. They also do not have a live chat option. Cheryl’s Cookies currently has an A+ rating with the BBB, but they are not accredited at this time. Under $50 – There are very few baskets under $50. 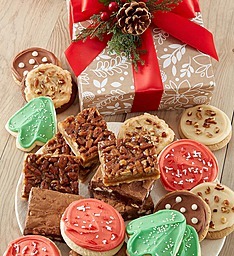 Those that are feature assorted baked goods ranging from a few dozen to as much as 67 pieces. $50 to $100 – Most of the baskets fall into this price point and average anywhere from 50 to as much as 80+ pieces of baked goods. 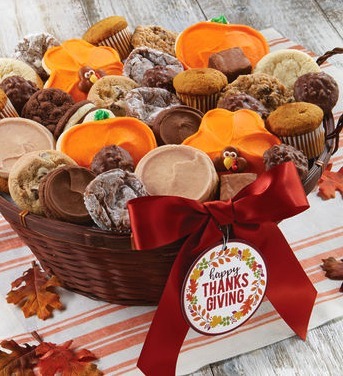 $100 to $200 – Very few baskets in this price range and those that are here are definitely on a grand scale featuring an assortment of baked goods up to as 175 pieces of treats. 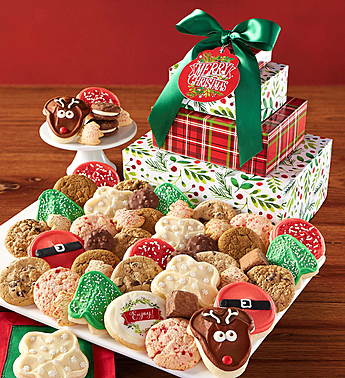 $200 and up – These feature and assortment of baked goods going as high as 200 or more pieces. 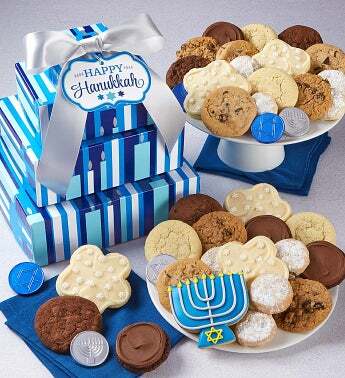 Customers looking for great-tasting baked goods made from the freshest ingredients and even Kosher certified will enjoy shopping with Cheryl’s Cookies. Even corporate buyers can find some budget-friendly options for employees, clients and other business contacts. 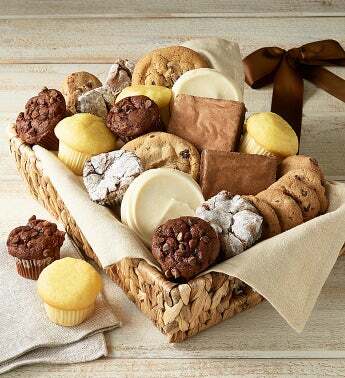 We appreciate the simplicity of Cheryl’s Cookies – and who doesn’t want a basket full of gourmet baked goods? We like that they keep their inventory small so that it is easier to find just what you are looking for and the quality of their packaging is exceptional. While it can be a hassle for shipping purposes, we like that their baked goods aren’t ridden with preservatives – it will taste much more homemade too. Most of their baskets will require expedited shipping – and that price can be steep compared to the cost of the basket. You could easily end up spending half to as much as the cost of your basket alone, which could be a big turn off for some shoppers. While we understand why they don’t offer other types of products, a few non-edible items to lift the versatility of the baskets would be fun to see. Gourmet baked goods, Kosher certified. Under $50 - There are very few baskets under $50. 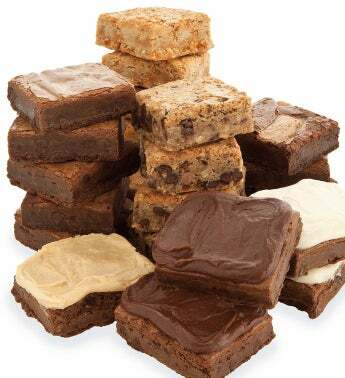 Those that are feature assorted baked goods ranging from a few dozen to as much as 67 pieces. $50 to $100 - Most of the baskets fall into this price point and average anywhere from 50 to as much as 80+ pieces of baked goods. $100 to $200 - Very few baskets in this price range and those that are here are definitely on a grand scale featuring an assortment of baked goods up to as 175 pieces of treats. 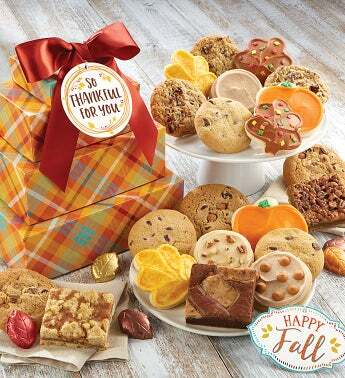 $200 and up - These feature and assortment of baked goods going as high as 200 or more pieces.